IT’S always a conundrum deciding on who should play the week following a big loss like we had to East Perth last weekend. There were probably 15 players who did not meet our standards in the 58-point defeat at Leederville Oval on Saturday. So which of those footballers do we choose to miss out this week against South Fremantle at HBF Arena on Sunday? It is not an easy choice. Fortunately, our reserves were excellent against the Royals so we have plenty of options for selection. We have players with league experience in Steve Potente, Aidan Lynch, Mitchell Peirce and Brayden Antonio who all performed well. Then there are younger players like Connor West and Baylee James who are pushing for a debut. Like us, the Bulldogs will be looking to rebound after a bad loss last weekend. As much as we need to respect their game style, our main focus needs to return to what we do well. 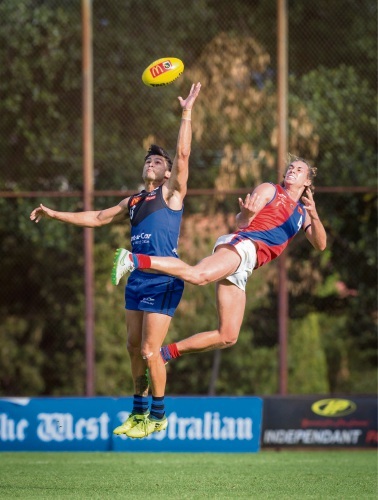 We worked hard over the pre-season, which showed in the win over Claremont but we lost our way against East Perth. The Royals were outstanding in the way they bounced back after receiving a lot of criticism from their 118-point loss to Subiaco. They attacked us the way they needed to given their pride had been dented. We were unable to cope with their contested ball work and tackling pressure. Our players have done a lot of soul searching into why they capitulated.